Today’s ride was a good test of the application of Chaos Theory to the organisation of a bike ride. Initially flagged as having Beacon Fell as the destination (via Chipping, from Halton Station), it passed through a number of re-incarnations and only attracted a small cadre of hardy individuals (nice to see Phil again after a temporary lay-off), who presumably thrive on uncertainty. Some of the usual crowd may have been deterred by the forecast, as it is difficult to believe they would have been put off by the prospect of riding into a moisture-laden headwind up to Jubilee Tower! In an attempt to mitigate the damage caused by the initial plan, our gallant Rides Secretary offered to head a ride to the new coffee stop at Dunsop Bridge from a more sensible start at Boot and Shoe (as it transpired no-one joined him). After pausing at Jubilee Tower to shelter from the South-Easterly wind and admire the mist-shrouded fell, the main group continued through the Trough in rapidly deteriorating conditions; we almost lost two of our party who unaccountably thought that it may have been easier to turn around and get blown home. As we rolled into Dunsop Bridge we admired a thin band of brightness on the southern horizon. We cheered up even more as we sat around a table for 7 in Puddleducks (Mike having beaten the Halton starters by 30 minutes). The first of two revolts from those disenchanted with the hills occasioned yet another change of plan; it was decided to get to Chipping via the Whitewell Inn (sorry, the Inn at Whitewell!) and Doeford Bridge, instead of via the hillier Wild Boar Park route. By this time we were in more ebullient mood, sensing that with the rain abating, the wind was getting up and would soon be at our backs. The second “insurgency” occurred at Chipping, which was deemed too soon to stop after Puddleducks. We were also getting the hang of the following wind, and so it was decided to make a dash for Cobble Hey via Bleasdale. Just before Bleasdale Mike C punctured, but was soon mobile again. A late-ish lunch was consumed in the usual convivial fashion in front of a blast-furnace of a wood-burning stove, occasioning even Patience to move to the other side of the table. 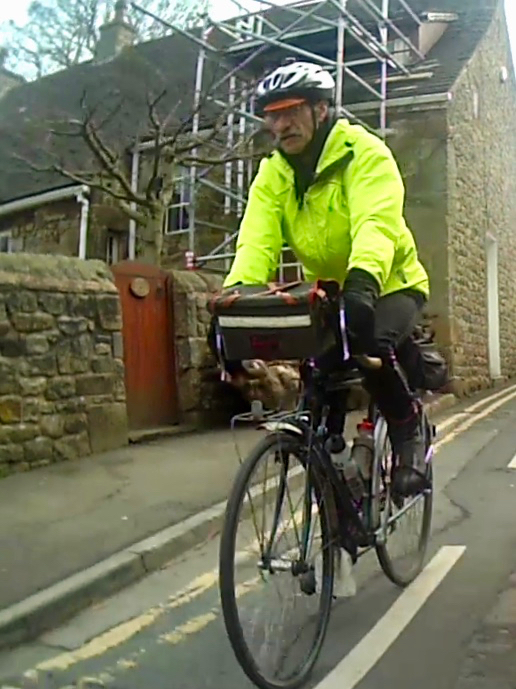 We eventually headed down the hillside and on to Lancaster via Scorton (we didn’t stop – another change of plan). 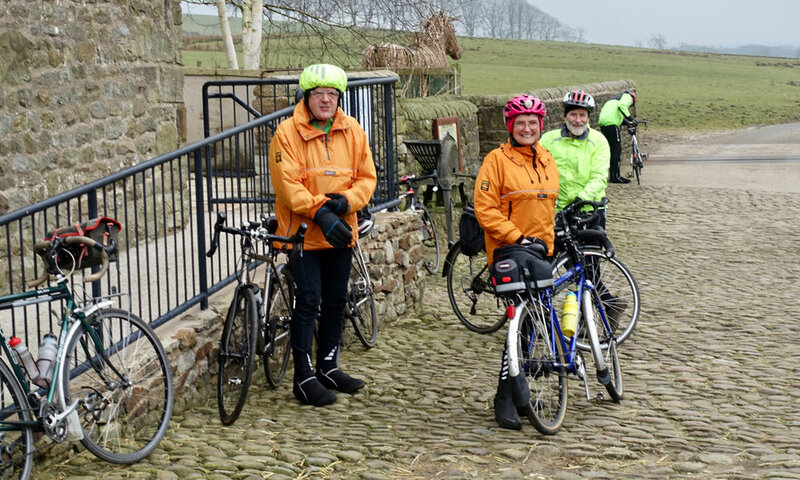 Those riders who wisely opted to stay at home missed a 55 miles Spring excursion which proved that Chaos Theory can indeed be applied to leading a bike ride. Hopefully we will be better organised next time!